I went to ALA Midwinter while it was happening in Seattle last weekend, and it was amazing to walk the exhibits space and just see so many great books. I’m not as current with what’s happening in children’s lit since I left teaching, and I really miss it. I love being a full time, working writer, but…I love children’s books, and I love sharing them with kids. I was at ALA on Sunday, and then Monday morning they held the ALA Youth Media Awards, where they announce all the big winners in kidlit. 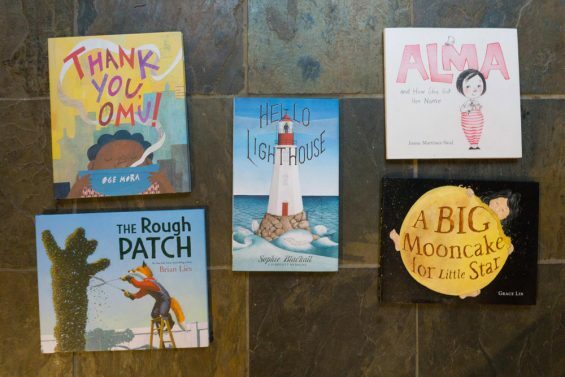 This is what I watch every year for the announcement of the Newbery and Caldecott books, and then I immediately buy all of the Caldecotts for H’s collection–we have them all for every year of her life, plus the year I was pregnant (and lots of other years because I just love Caldecott books). I also picked up a lot of the other award winners announced on Monday, and by Tuesday they’d all arrived. 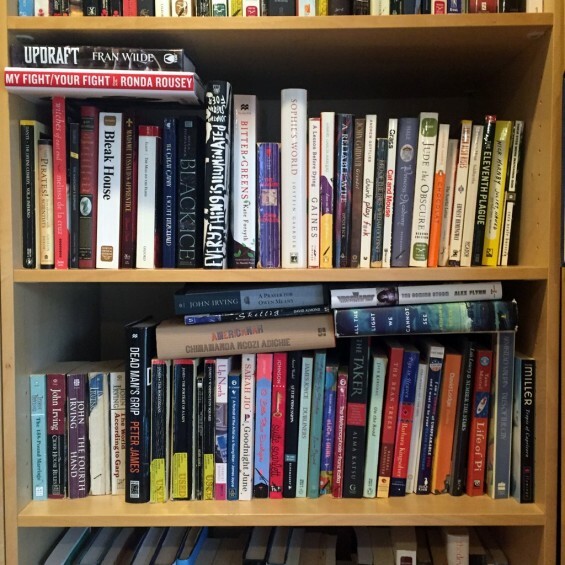 2016 Reading Challenge for Grownups–Want to Join? So last summer I got this idea that I wanted to do a summer reading program for grownups. As a librarian I have seen countless summer reading initiatives to keep kids reading during their off-school months, but I kind of wanted to do this with grownups. Virtually, so you could participate from anywhere, at any time. And give away prizes! I will be participating in #48HBC this year. 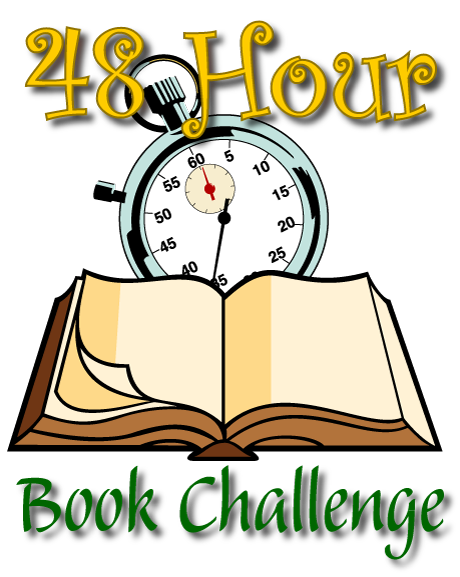 The idea is to read and review as many books as possible in a 48 hour timespan, and this is the 6th readathon MotherReader has organized. It gets bigger every year. And every year I see it’s happening when it’s too late to participate, but this year I am getting on board with it. I don’t know how much I’ll actually be able to read this weekend (especially since I left several ARCs at school! ), but I want to set the goal for myself this summer and dedicate more uninterrupted time to the things I love. The thing I miss about working in a public library is the access to books and time to read them. New books magically appeared for me to read, and I had long lunch hours/Saturdays/desk time to gobble them up. Schools are a little different; there’s a lot of lesson planning and administrivia going into the one-woman show that is my library. 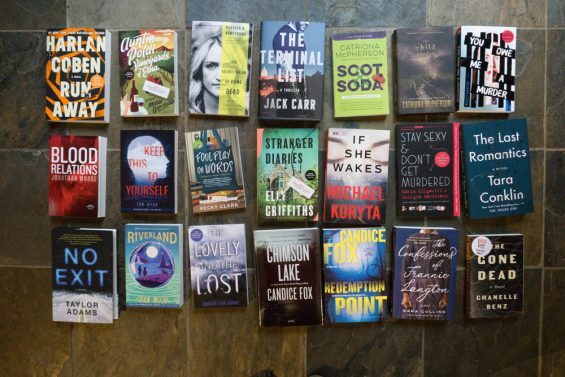 The books don’t appear unless I order them, and really that just happens once or twice a year. If a new book is published that I just have to have for my library, it goes on the list for next year’s book order. That’s a lot of time to wait, so I still spend a lot of hours at the public library and Barnes and Noble trying to catch up on everything out there. And when I arrived in my current job the periodicals had all been ordered for the year, and I couldn’t get my hands on School Library Journal or Publisher’s Weekly. Next year hopefully I’ll be able to work one of those into an order. So as much as I’m reading, I still get blindsided once in a while by the huge number of books I still haven’t read.